For my latest state flower doodle, I have chosen Georgia since it is one of the states where MrE has lived. 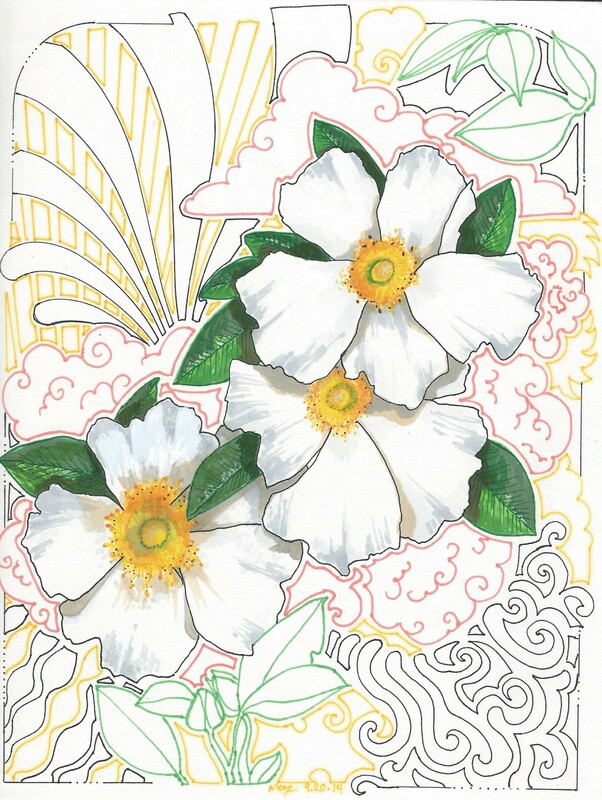 Their state flower is the Cherokee Rose, also called Rosa Laevigata. There is an Indian folk tale concerning this flower, and it is said that they bloom the entire length of the Trail of Tears. It is a delicate and pretty flower, which called for a little different style doodle than usual. This doodle was one of my more structured projects, and I even used straight edges and French curves for a few of the major details. Since the flowers are white, I thought it would be good to leave the other doodle shapes pale as well. I goofed on the of the flowers though, and used some white paint pen to cover it. The green leaves actually look much better in the photograph than they do in real life. Go figure. Since Georgia is famously laid back, today’s cute animal picture is Tony, chilling and waiting patiently for a tummy rub. 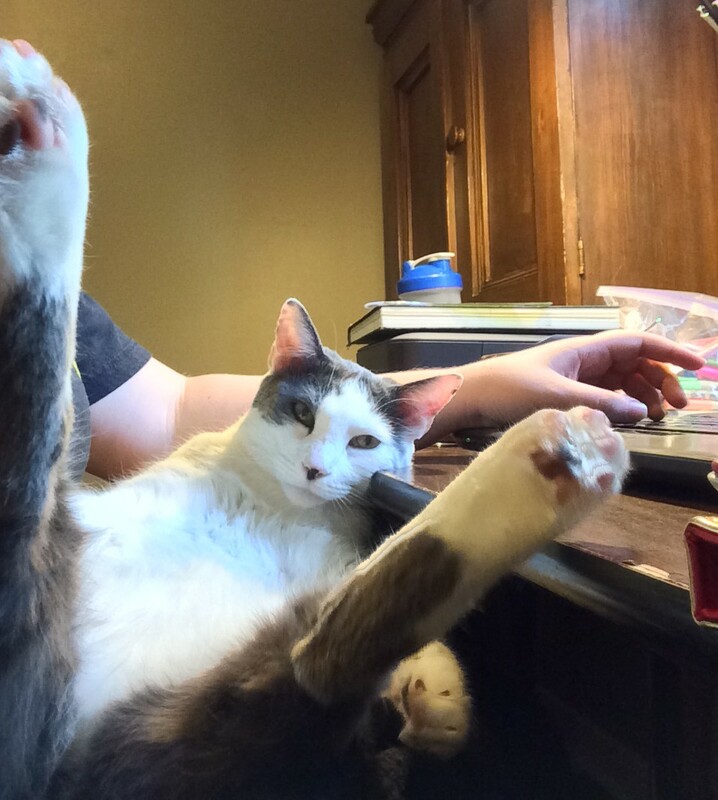 Feet up and ready for the petting to commence.